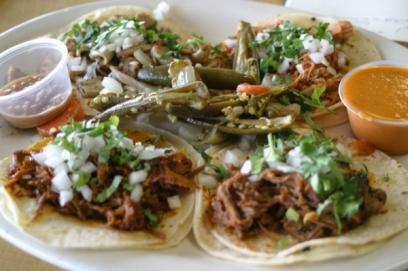 The Latin Tongue: An attempt to find and feature local Mexican restaurants. When we started this adventure to eat Latin foods, you might remember that we wanted to find out why we drive by all of these interesting places without stopping. We wanted to finally go in and see what we were missing. (Read our intro article for more) This could not be more true for my family than with the restaurant called Cocina Latina on 38th and Nicollet. We pass by this establishment probably three or four times a week and know nothing about what is inside. This almost criminal neglect had to end and it is only fitting that on this occasion, I was to go with my family. It was bound to happen. Restaurants come and go, especially those that start on a shoestring budget. Going into this adventure to uncover the hidden Latin gems in the Twin Cities, we knew that we would have some strikeouts, run down some dead ends and find ourselves looking for that which could not be found. This past week, we had wanted to check out a place we had heard some good things about. The Border Cafe in West St. Paul was to be our destination...or so we thought. Upon arriving at the address on South Robert street, something was a bit off. First of all, The place was called Three Amigos. Secondly, it was closed and obviously undergoing a bit of a change. We have vowed to go back and will give you more details when we do. Usually, we are armed with nothing but an address and the hope that the next Latin eatery is in fact, real. It is easy for your imagination to get the best of you when you are constantly entering new and strange places, as if you might enter into a doorway never to return...new dimensions, new worlds, a salsa bar? Driving down 34th Avenue south in Minneapolis, there are absolutely no signs that there will be anything but more and more houses. There is certainly no "business district" around and as we neared 62 and saw the telltale signs of the airport, we thought this would be our first wild goose chase. 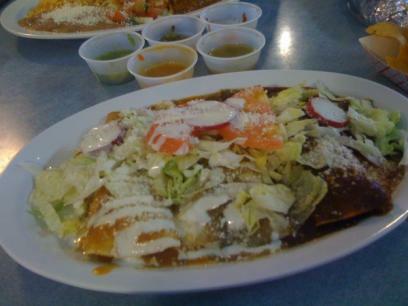 But then, a gas station appeared like a beacon of hope and as our bellies rumbled in anticipation, we saw a modest sign, wedged between the laundromat and gas station: Las Teresitas. We had arrived. 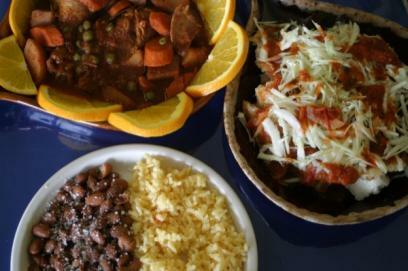 I wanted to avoid rankings and ratings in this challenge to eat and talk about Latin foods. It seems grossly unfair to give our taste buds credence over anyone else's. It also seemed a bit pretentious to claim that we were in any way experts. We are certainly not. The people from Mexico, Ecuador and Honduras who serve us their heart's labors...these are the experts. With that said, I have a hard time not gushing over our latest find, wanting to give it some sort of top-of-the-list, upper class status. Catalina's was just that good to us. Special late night edition you ask? I suppose it was bound to happen. Almost every week I hop on my bicycle and tour around Minneapolis with a few friends, sharing stories from the weeks events, having a few drinks and eating late night fare. All too often when searching for late night eats, you are left feeling stuck with few options. Usually, it is pizza or bar food. Then we discovered the habit of the Mexican restauranteur to keep their doors open until the odd hours of the night. And what a discovery it was. Instead of consuming questionable greasy burgers and pizza as a night comes to a close, my friends and I now have much more to consider. Tacos, sopes, burritos, quesadillas and the hangover killing bowl of menudo have broadened our horizons. 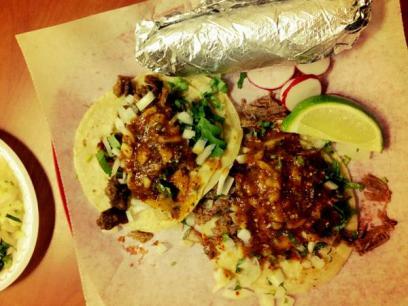 One of these gifts to the late night gut is Taco Taxi on Lake street. UPDATE: As of April, 2013 we have noticed that La Mixteca is CLOSED. Another week, another new Latin eatery. This time, the location was a glorious old strip mall, just off of 494 on Portland Avenue. It is fascinating how eating at new and different restaurants has us going to places that were previously off of our personal "maps". It also forces you to consider the old adage, "don't judge a book by its cover." After all, strip malls are notorious for their ability to lend anonymity to anything and character to nothing. 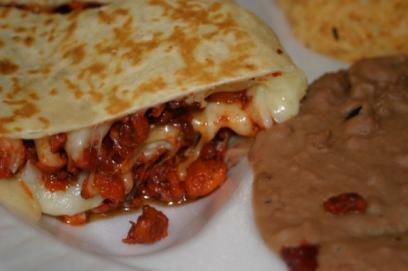 Another week, another new take on Mexican food. 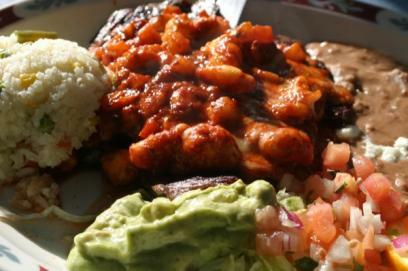 This time we stumbled upon a Latin eatery called Taqueria La Hacienda. Situated awkwardly off of Lake street, it seems like the type of location that screams hole-in-the-wall. However, for the first time, we were welcomed with a restaurant that certainly had something new in this Latin eating adventure: a budget. 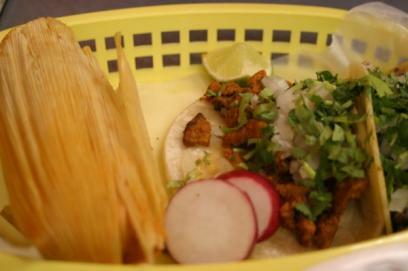 Taqueria La Hacienda, it turns out is a local chain with three locations: the original on Lake street, a taco stand in the Mercado Central (Lake and Bloomington) and a spot in Burnsville. Not only do they have three locations, but they obviously have some money invested in their business as evidenced by their nice website, video menu screen and nice decor. After five weeks of success, it was finally time to head south. We loaded into our cars and made the "arduous" journey south...of downtown St. Paul to the district del sol, a neighborhood/business district with strong Latin roots. Once again, we went without a plan and decided to let our noses guide us. We were treated to a feast of the senses with two supermercados and at least three Mexican restaurants. In the end, our eyes settled upon a small, hard to notice restaurant who's most prominent feature from the street was a bright "open" sign. That's all we needed. 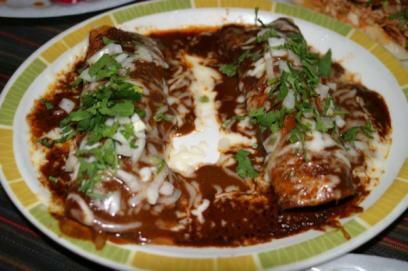 Read about why we are reviewing Mexican restaurants in this article. It was the middle of January and for the first time since we started the Latin Tongue restaurant reviews, we couldn't make a date for lunch. So, we found ourselves driving down to Richfield on a frigid night to sup at Taqueria El Ranchito. It figures that we would choose a modest little spot that in all ways seemed like a lunch spot, but it was warm and owner Juan was gracious and kind and very willing to fill our bellies. 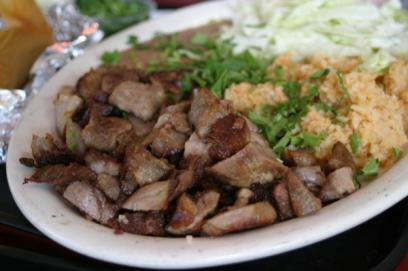 Read more about our Latin eating adventures here. Why are we doing this? Read our intro article. Up to this point, we have been rather amazed at our luck in choosing Latin eateries. We started with a Mexican restaurant in Minneapolis that was heavy on the seafood. Then over to St. Paul for a long established Mexican restaurant that blended in some American ways. 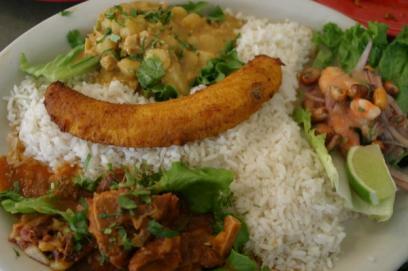 Third was an Ecuadorian restaurant. When would our luck run out and we either find terrible food or become redundant?